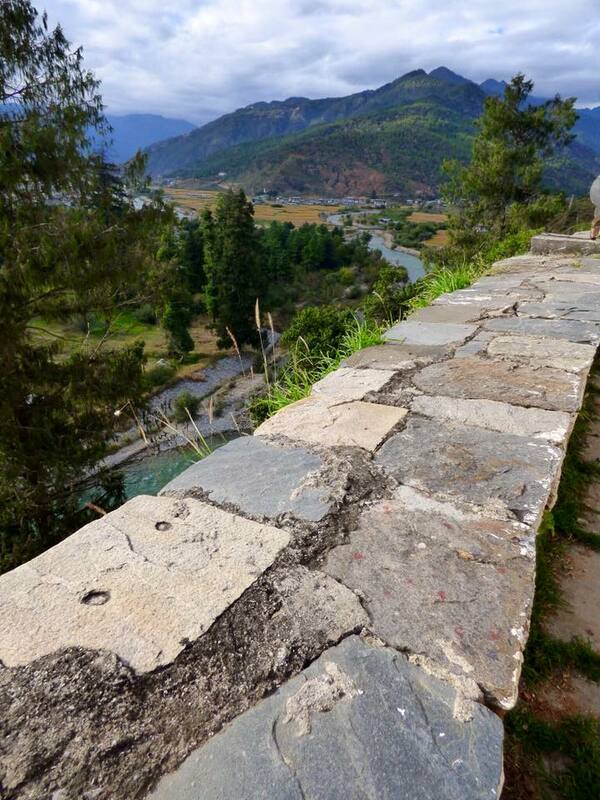 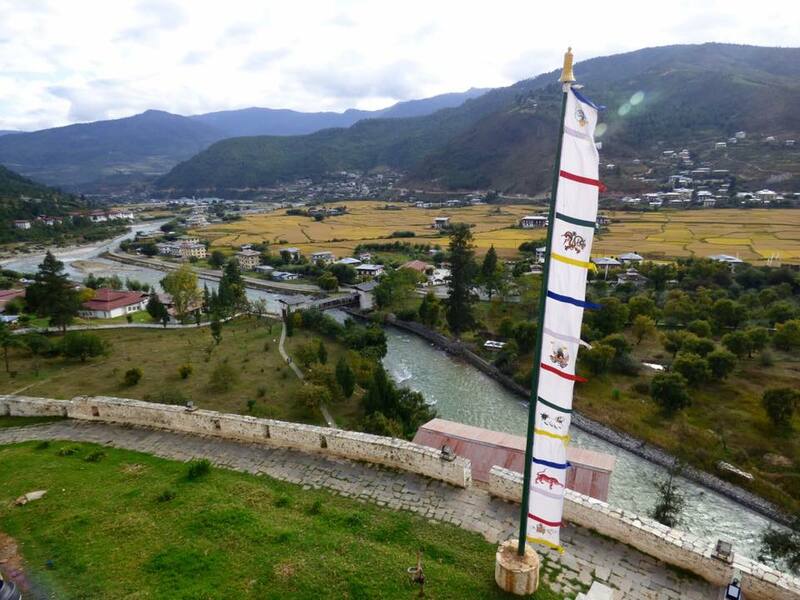 The Paro valley has a spectacular Rinpung Dzong – a fortress-monastery perched high above the valley floor with panoramic views out and far. 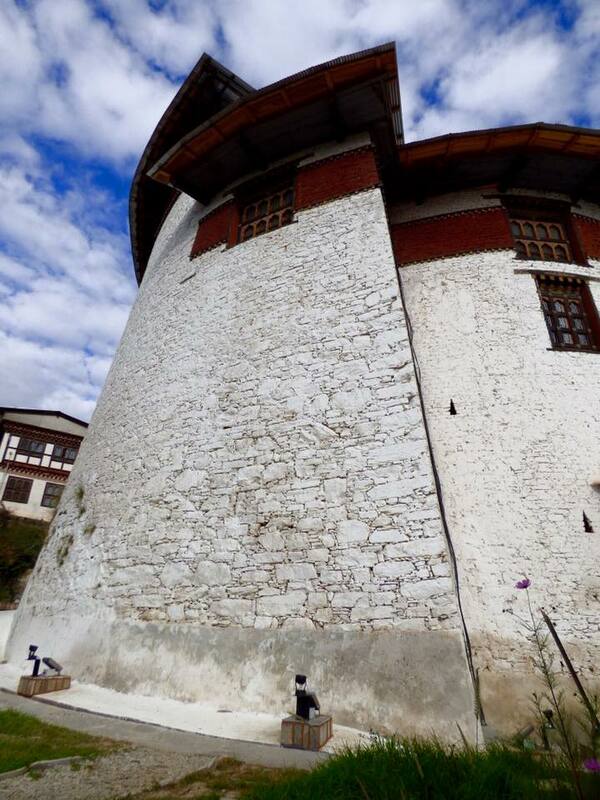 The massive fortified structure was build around 1644 and towers 6 stories high with inclined fortified walls made of stone (rather then clay). 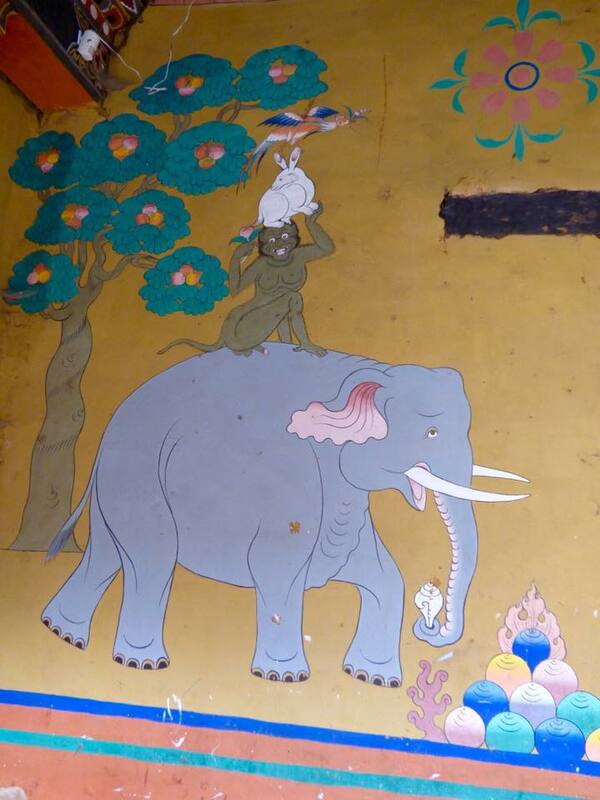 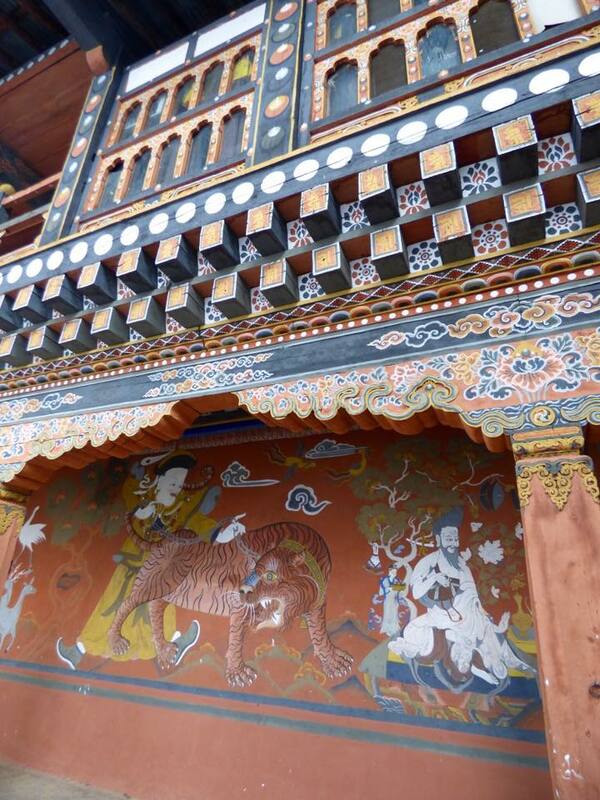 Inside are 14 shrines and chapels richly decorated with frescos and other artifacts. 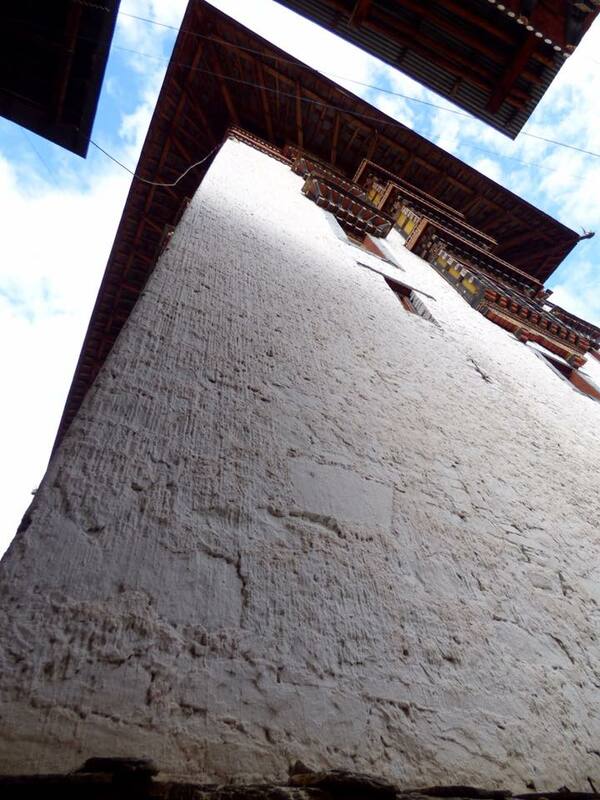 The towers are so steep that the sun hardly penetrates inside. 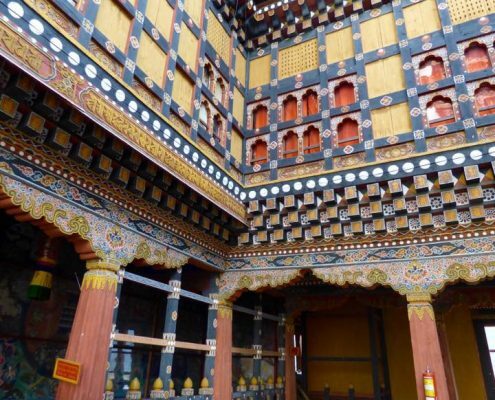 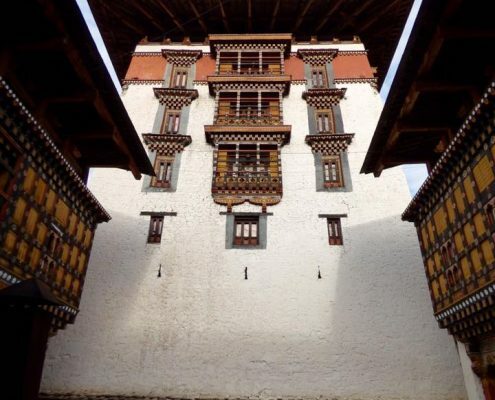 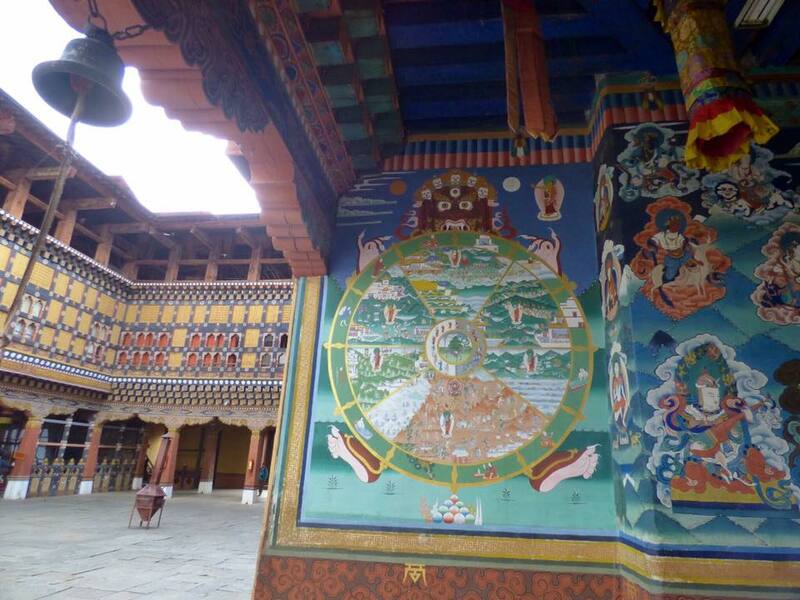 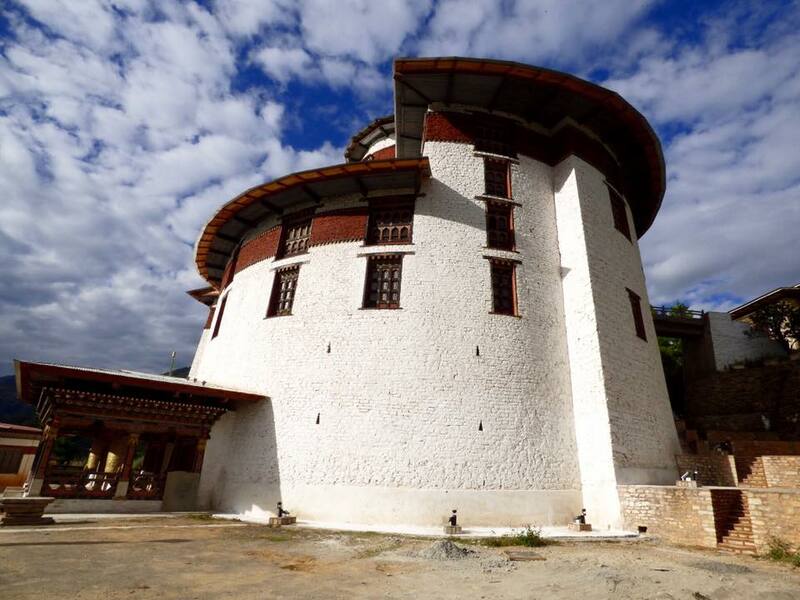 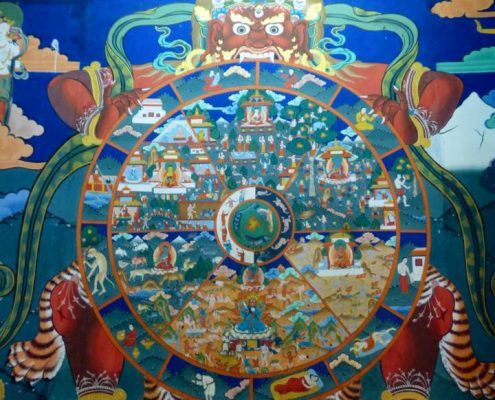 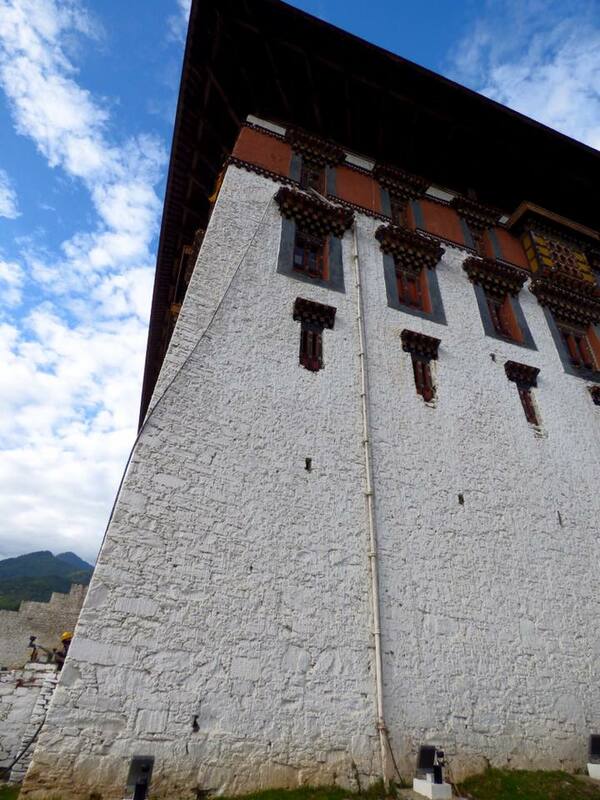 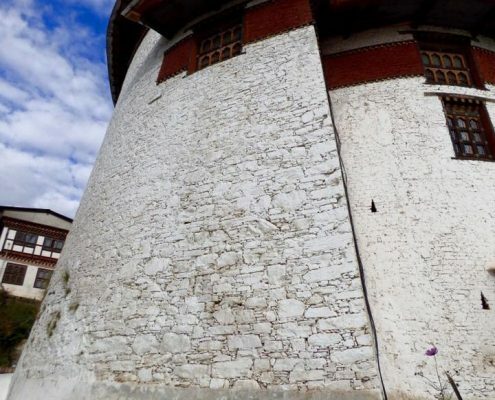 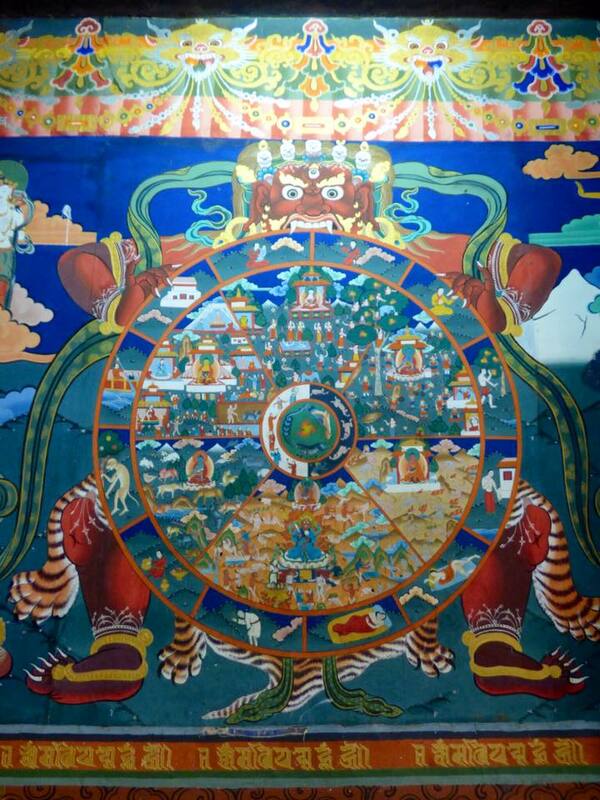 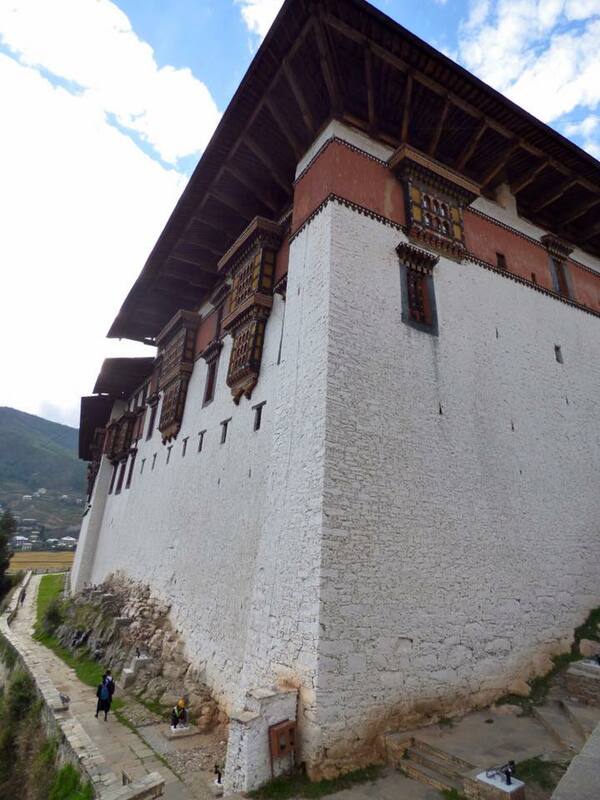 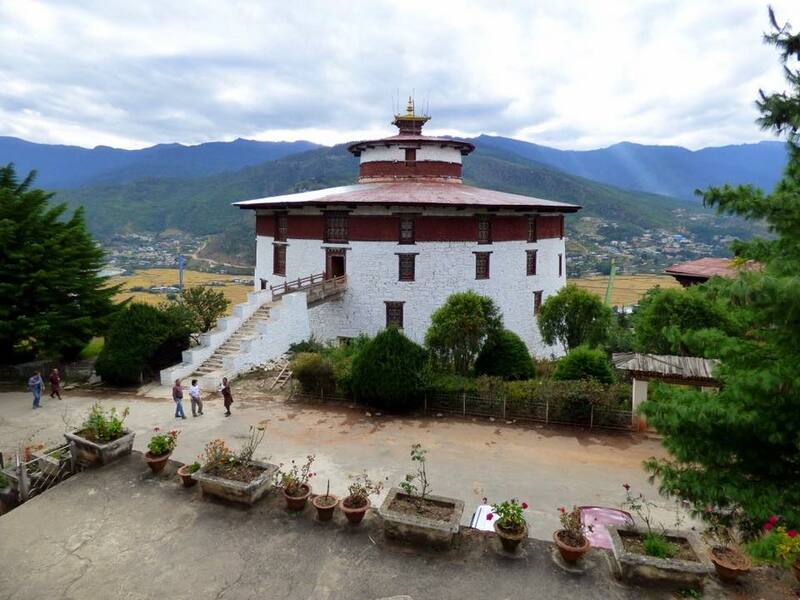 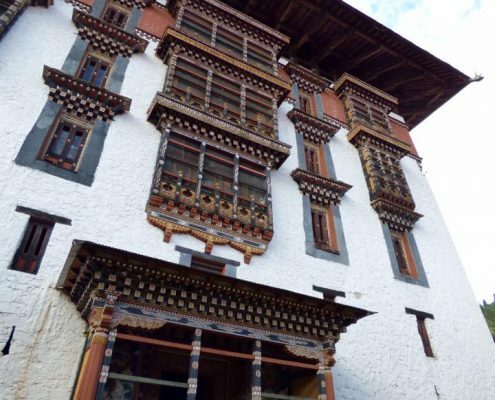 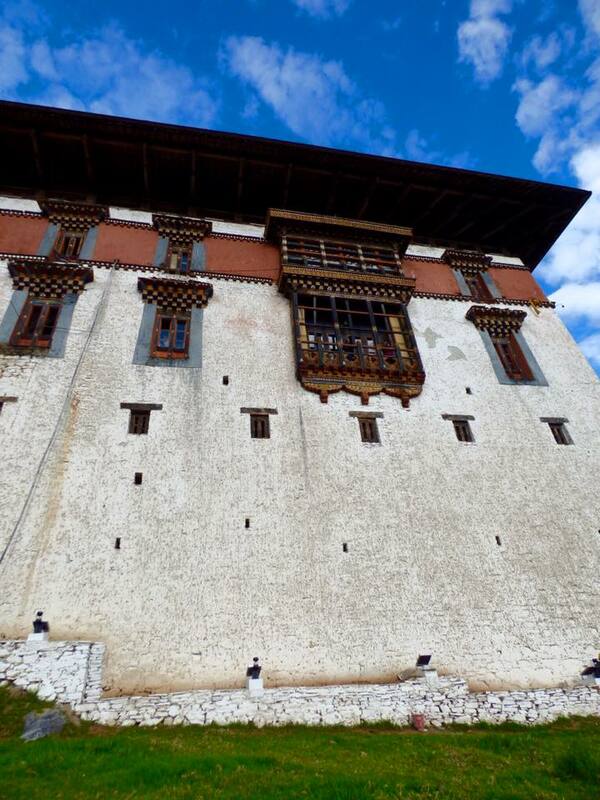 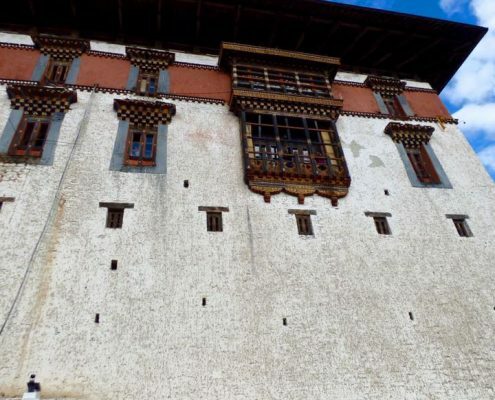 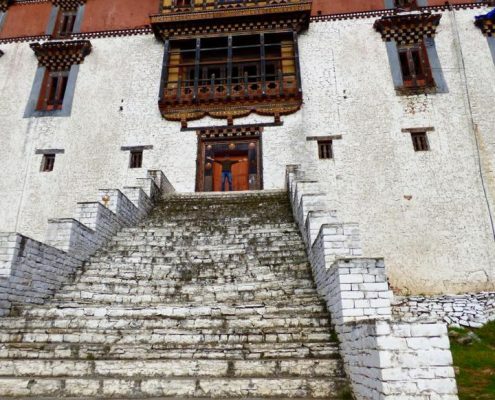 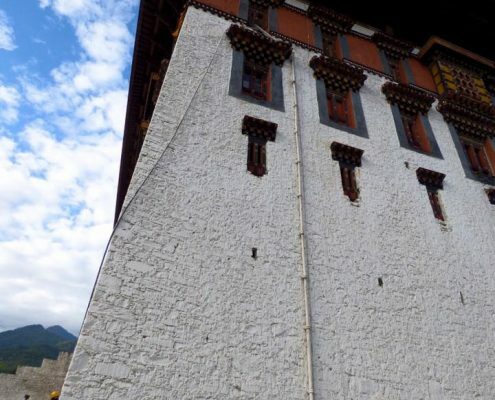 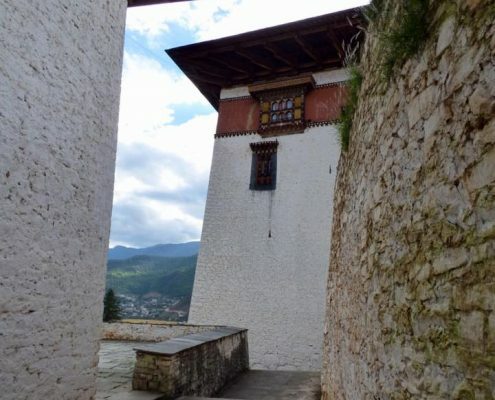 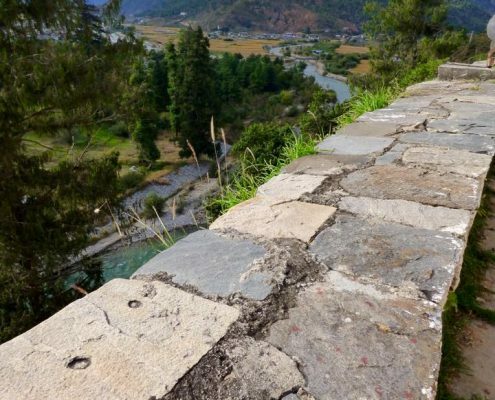 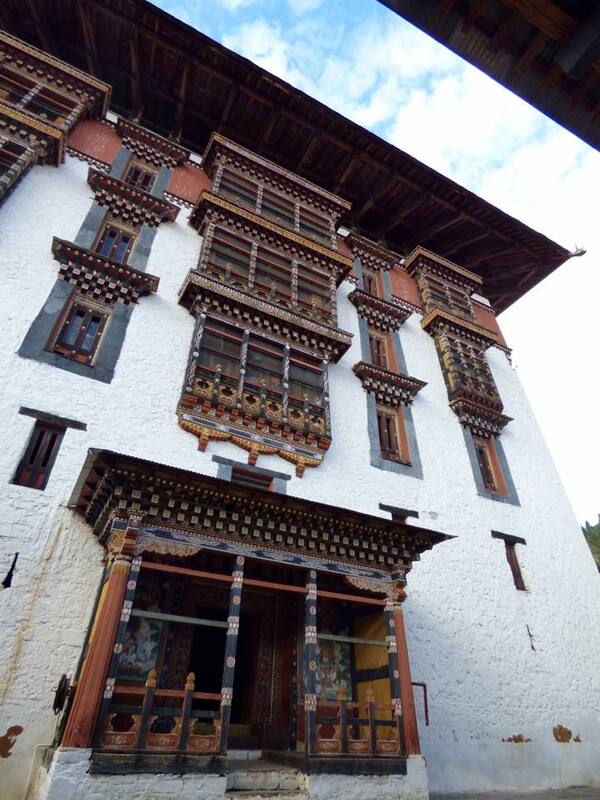 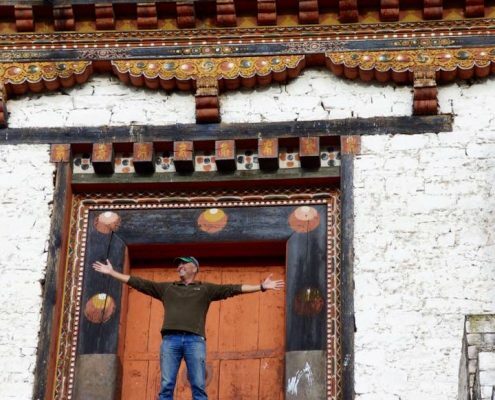 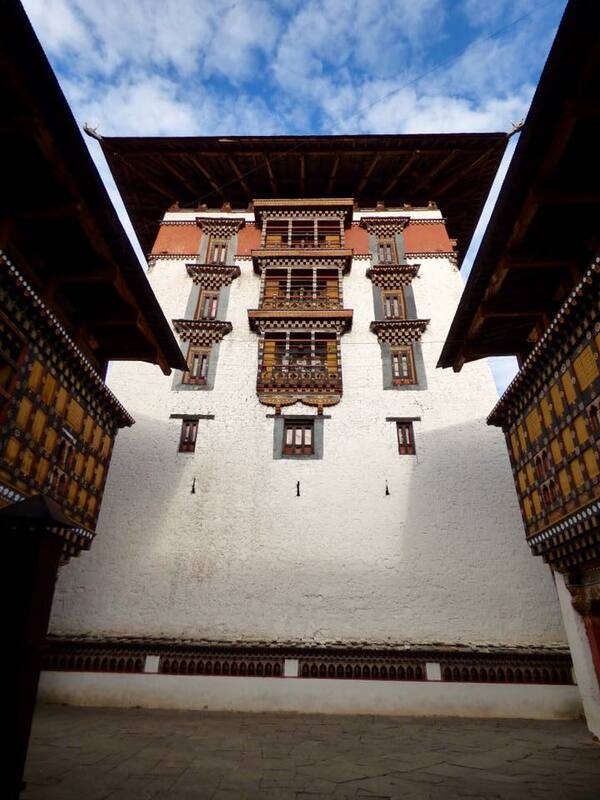 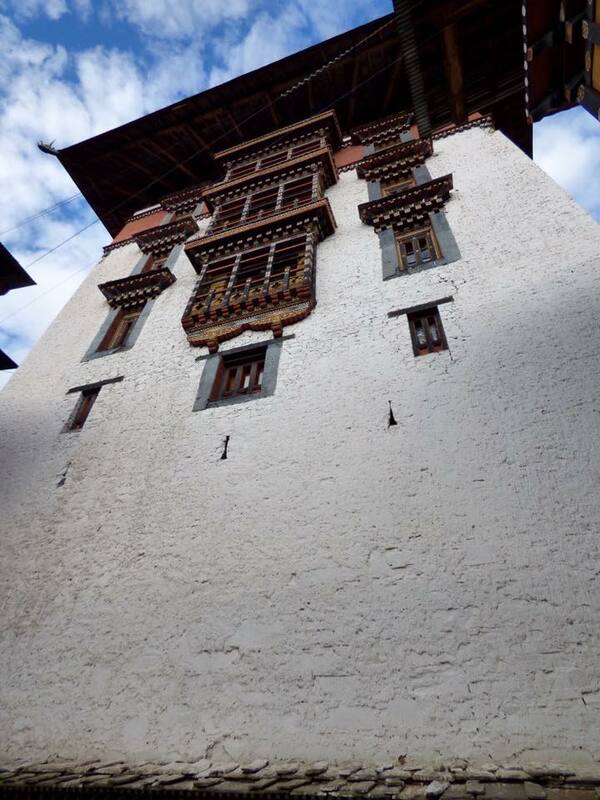 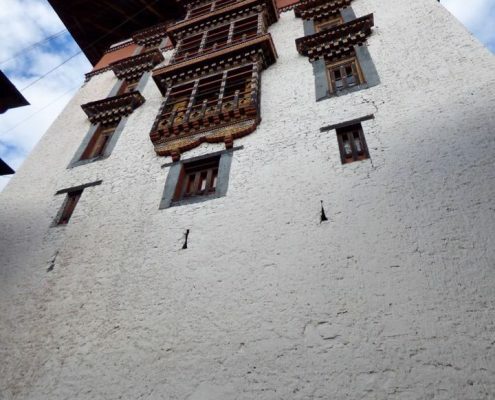 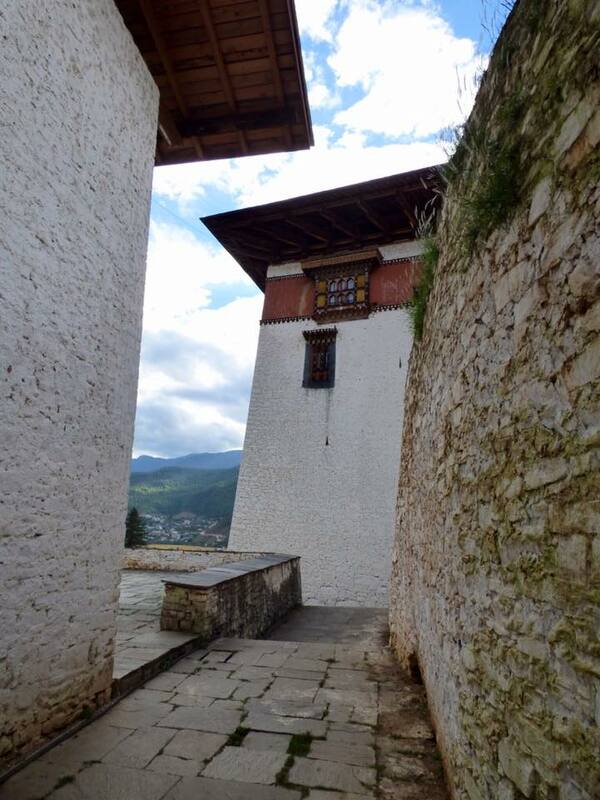 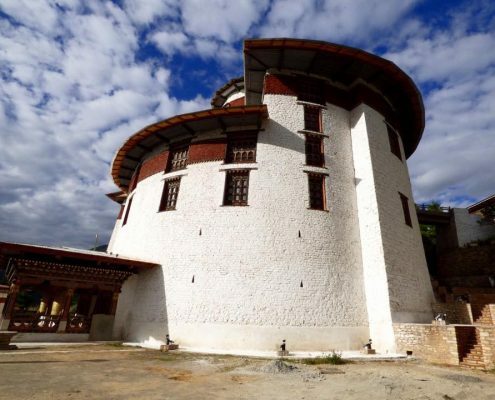 But as if this wasn’t enough, even higher above the Rinpung Dzong sits Ta Dzong – a 7-story watchtower built in 1649 with even more surreal views along the valley and down on the Rinpung itself. 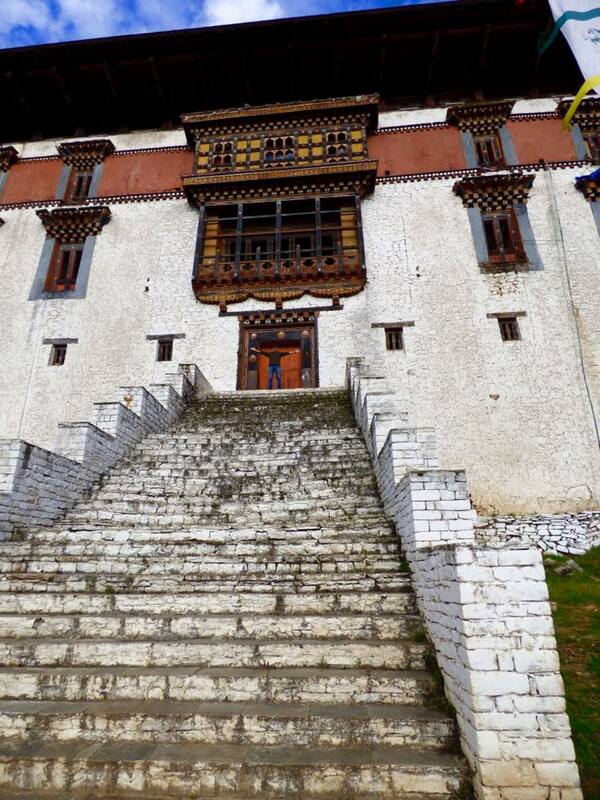 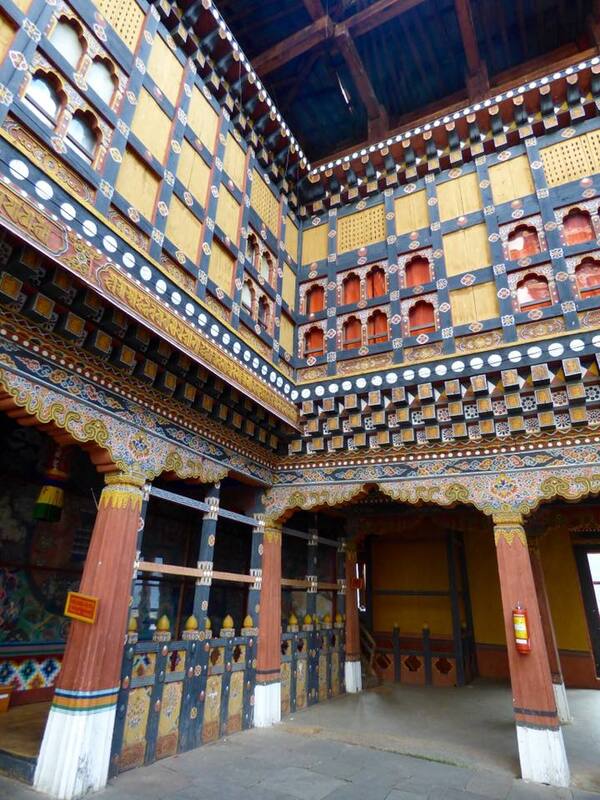 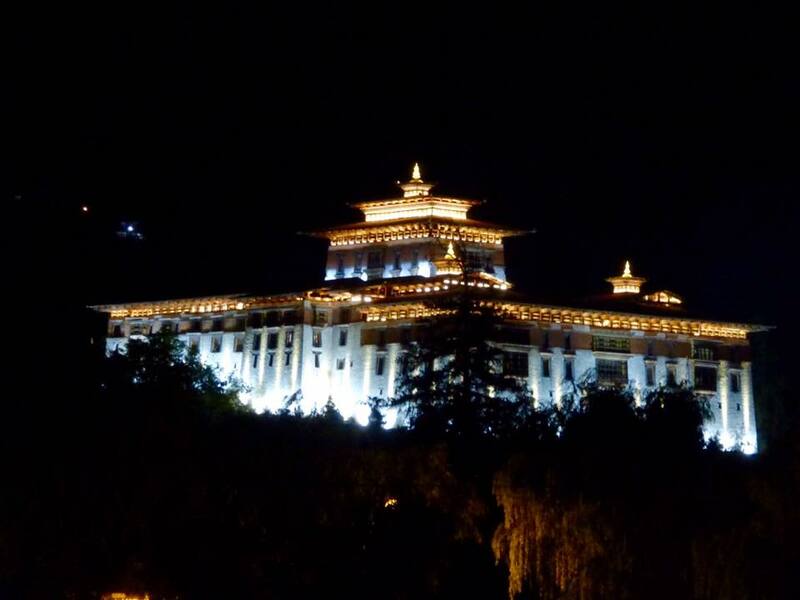 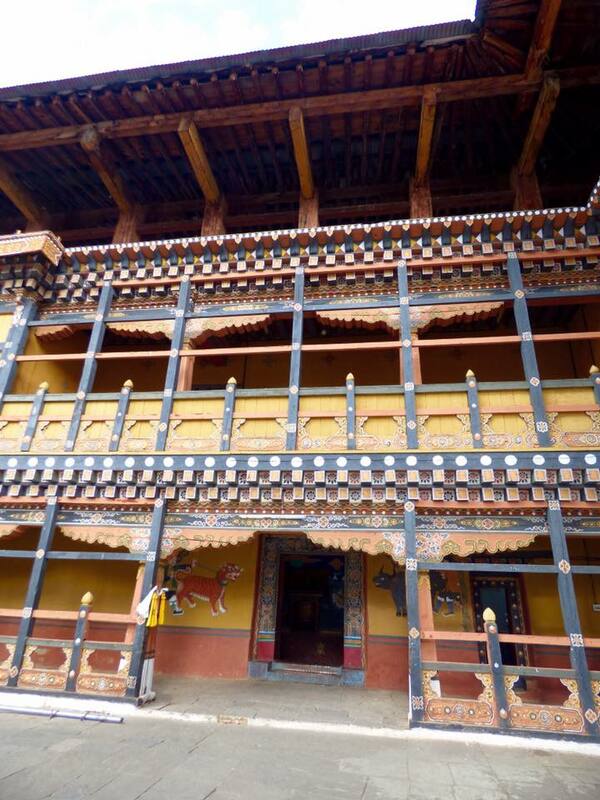 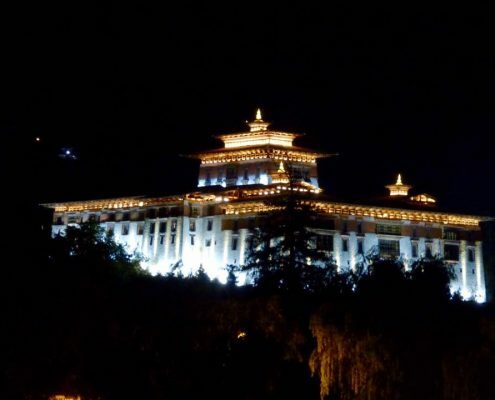 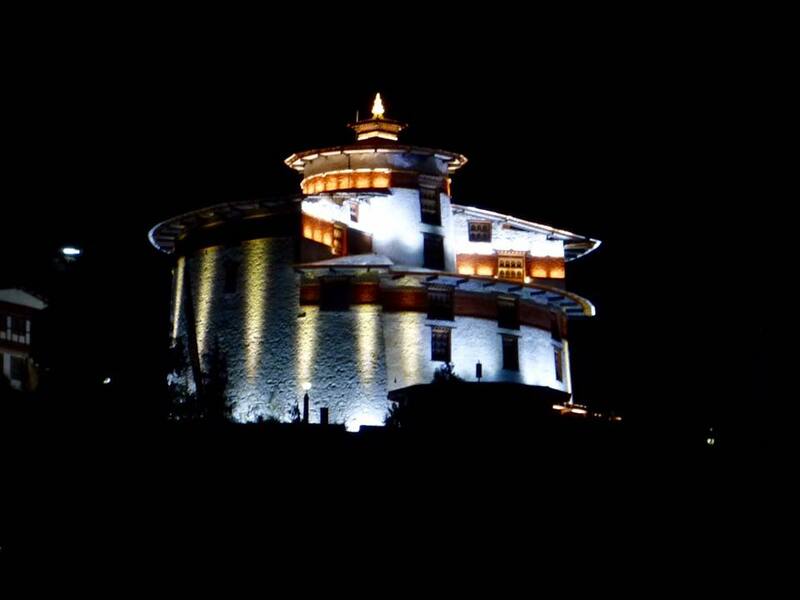 National Museum of Bhutan is housed here. 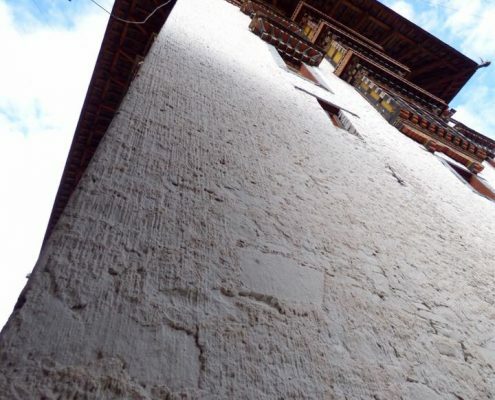 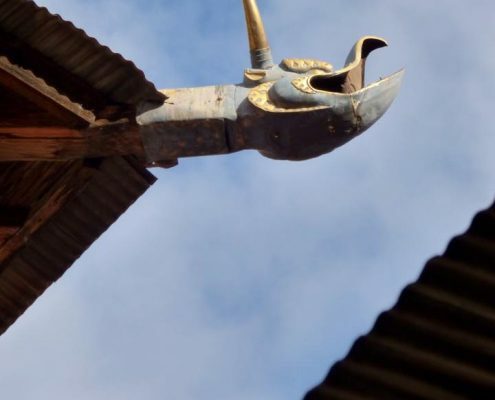 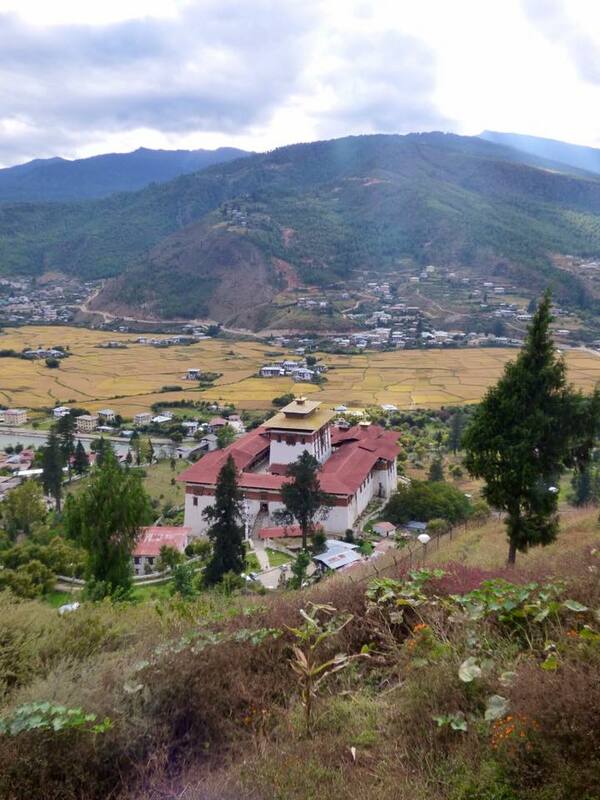 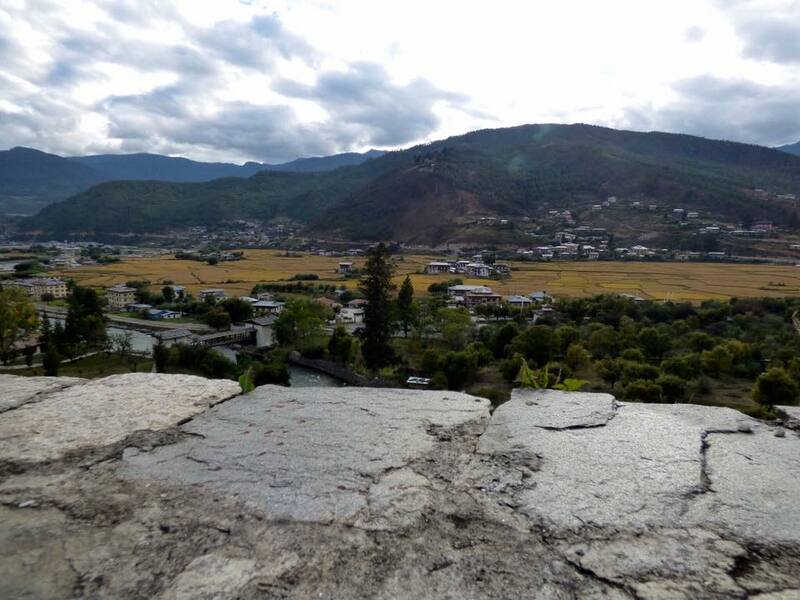 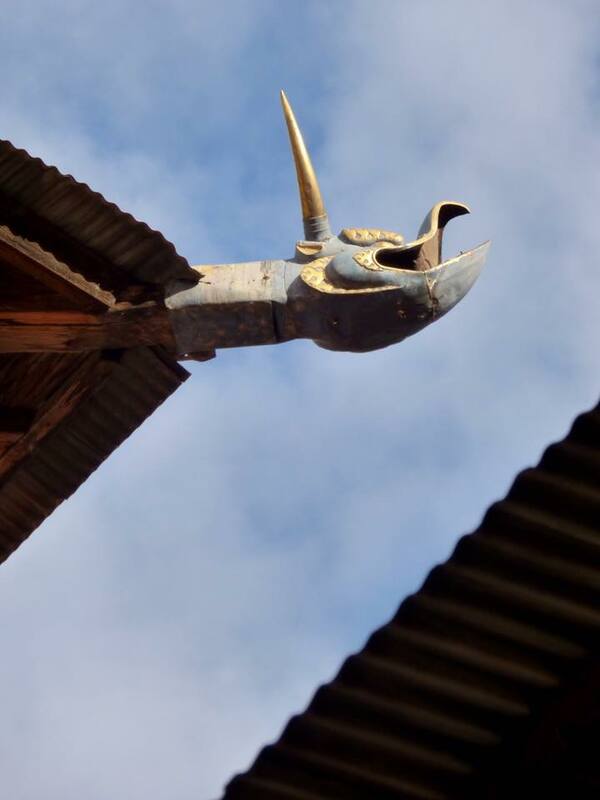 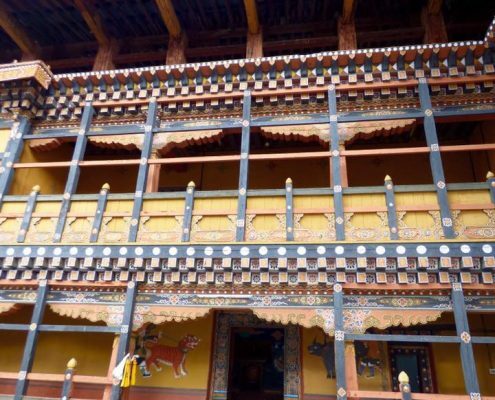 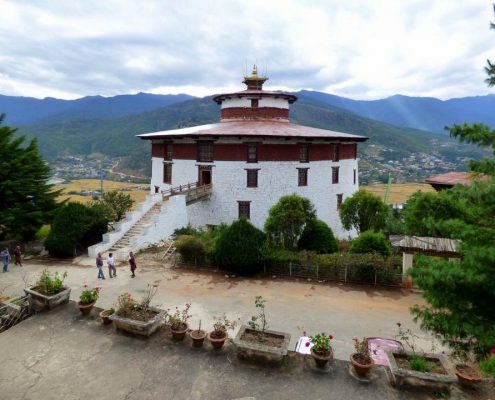 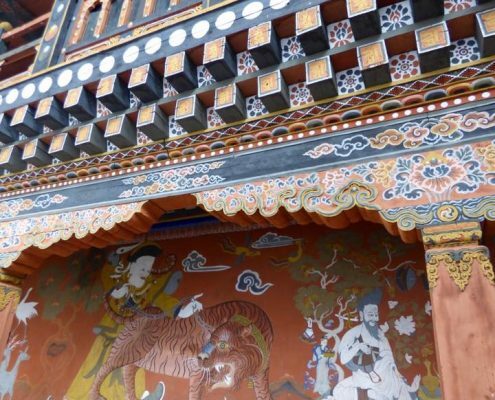 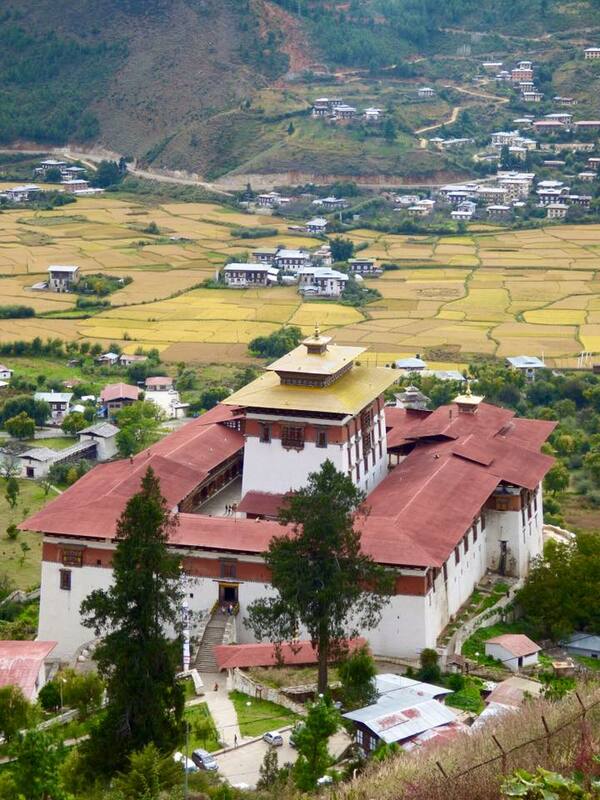 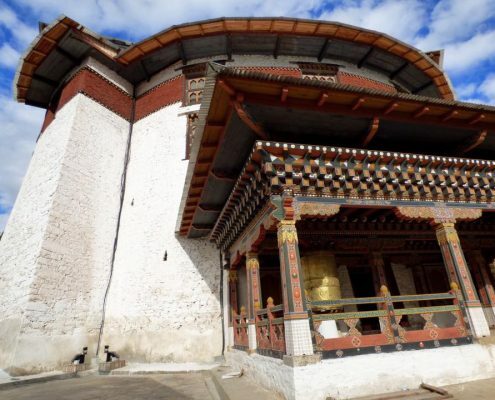 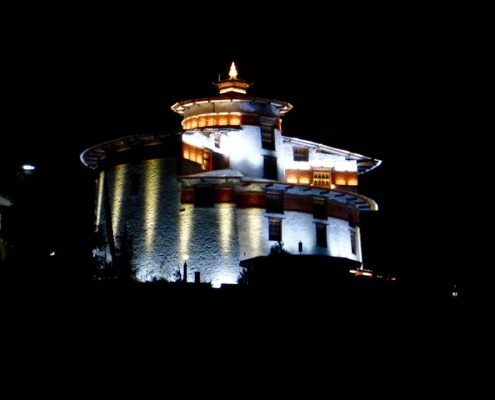 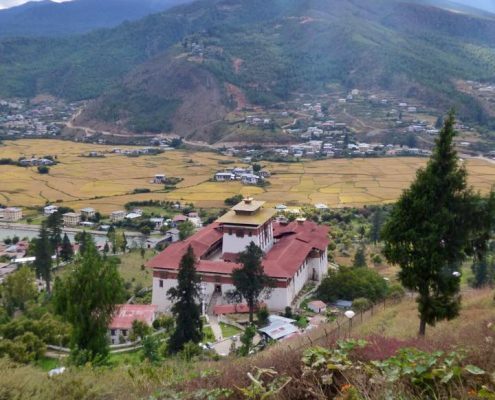 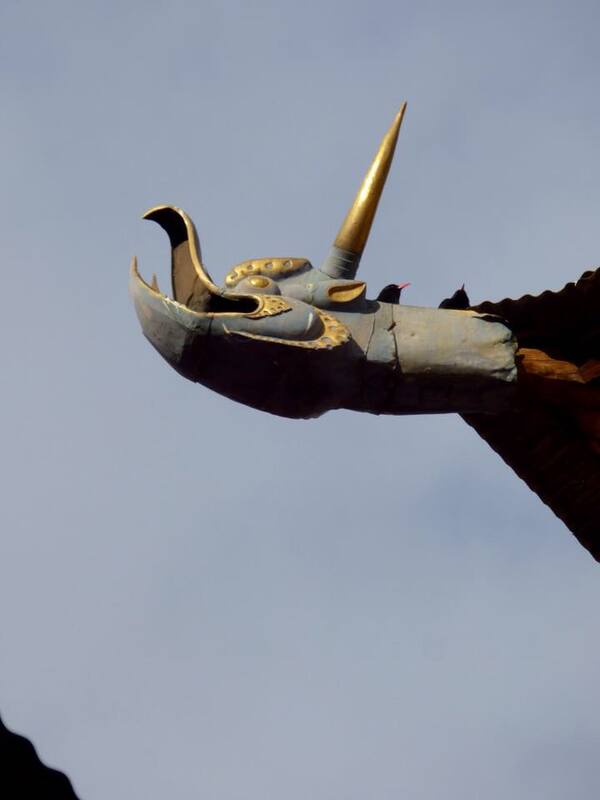 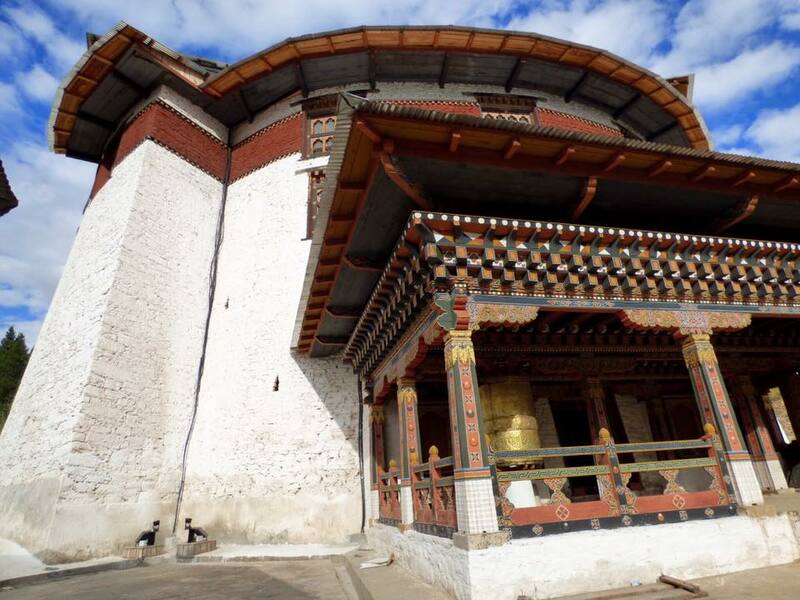 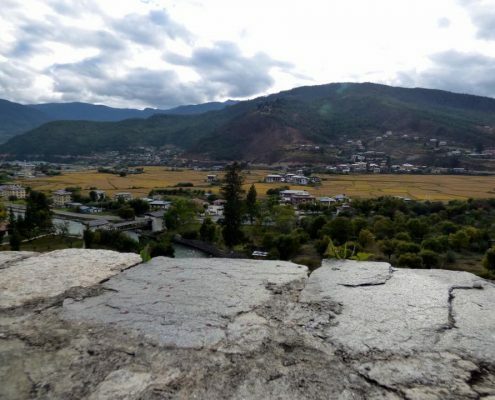 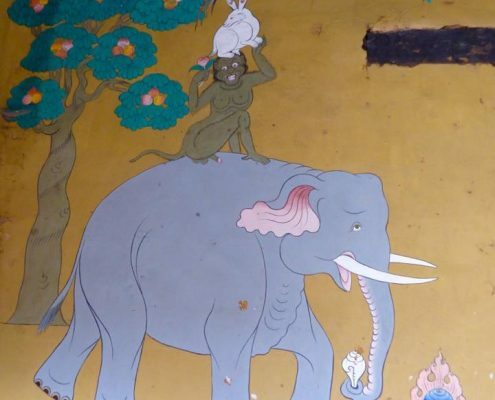 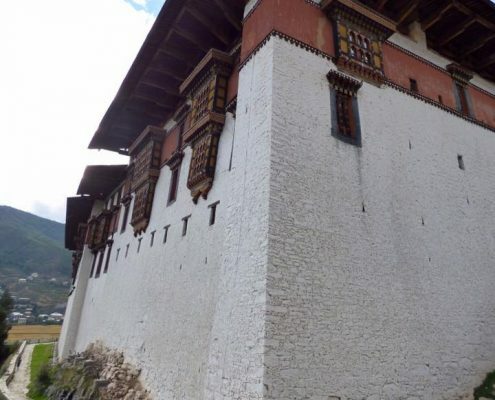 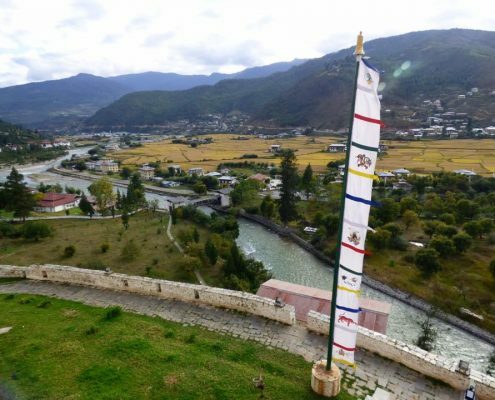 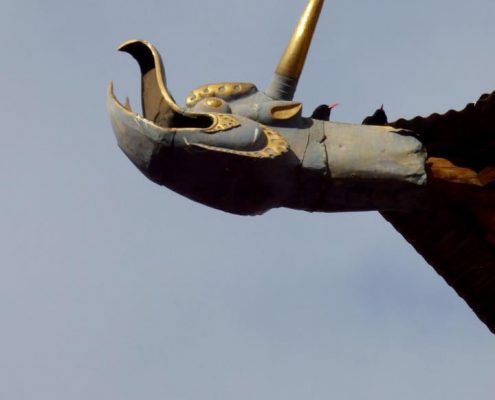 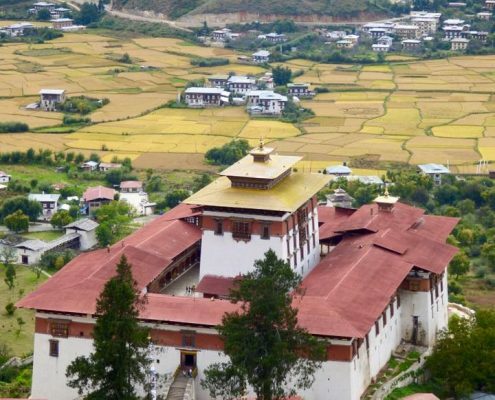 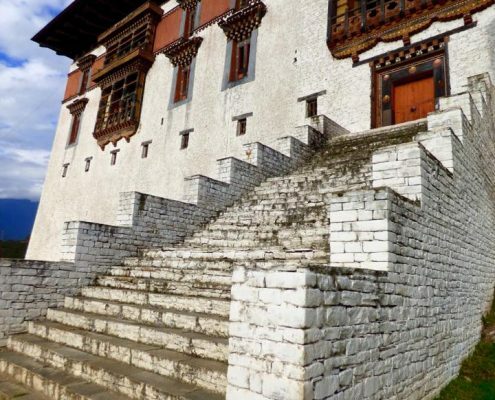 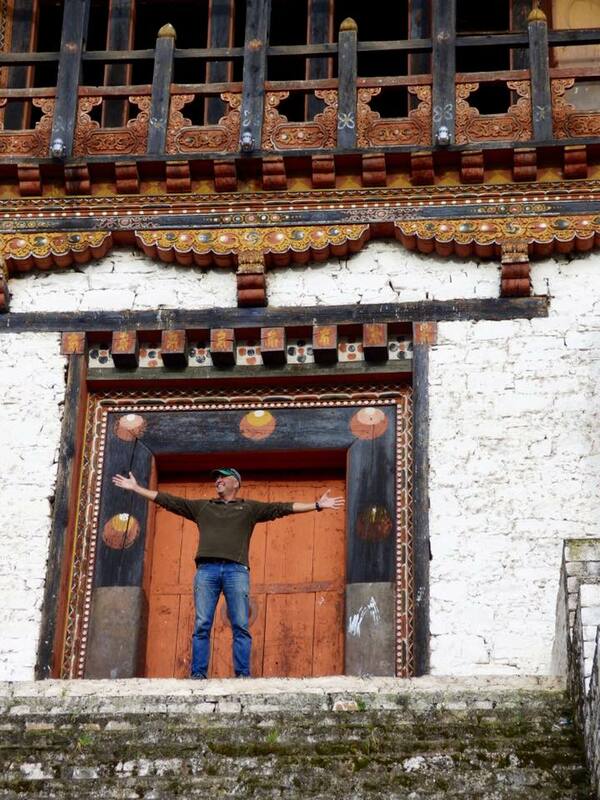 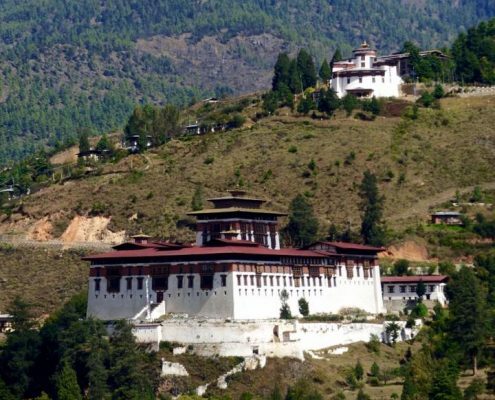 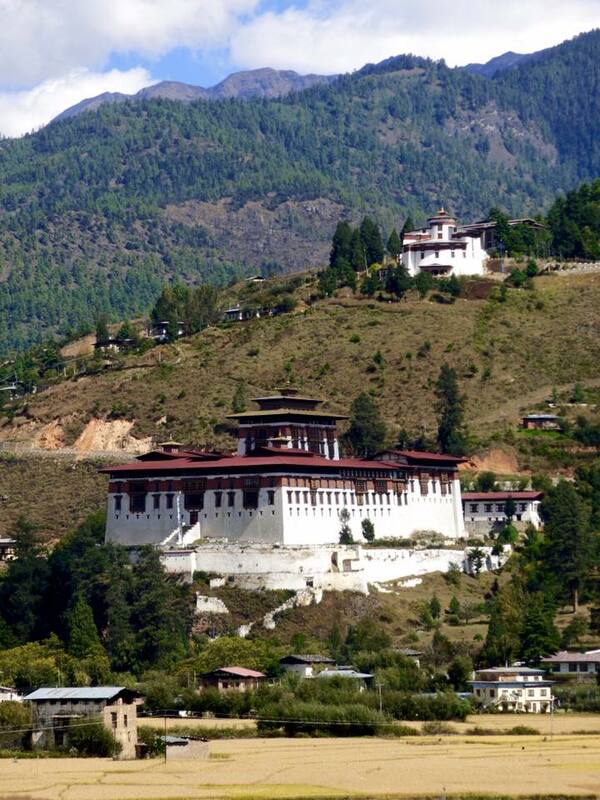 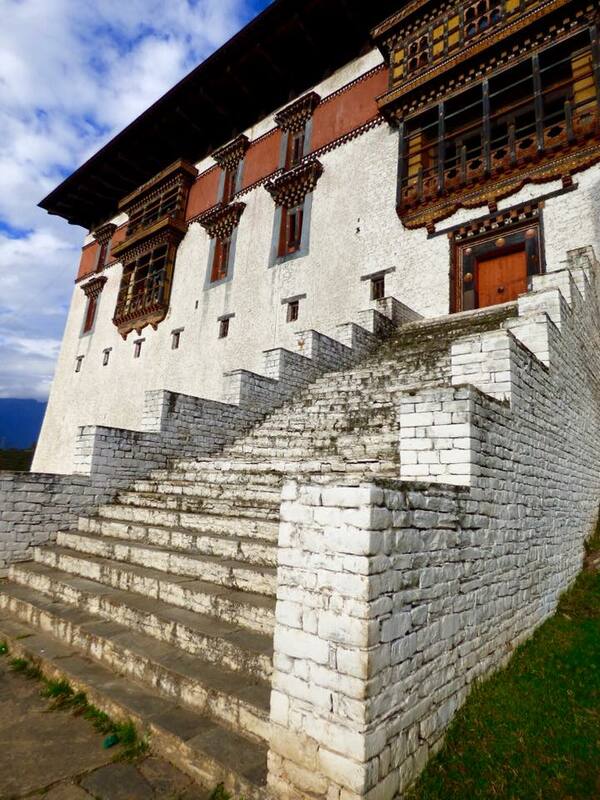 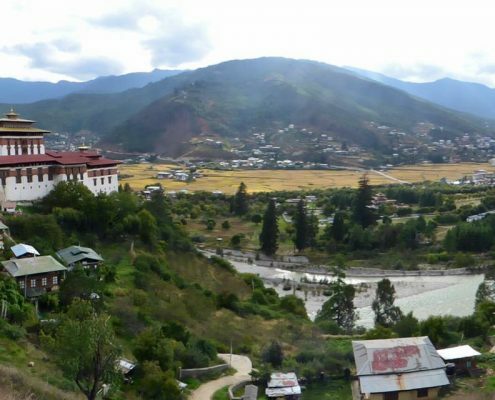 Both dzongs are on the tentative UNESCO World Heritage List (many sites in Bhutan are worthy the list but the country being a reclusive religious monarchy is still negotiating allowing UNESCO in).